OpenLM is a software licensing tool that is meant for organizations that use engineering software, particularly engineering software that is licensed under a concurrent licensing model. Regarding license inventory, OpenLM does the accounting for you automatically and lets you know exactly what you have paid for – vendor, product and features – including the features you’ve bought but never used. OpenLM Software license management will give you the opportunity to cancel software license feature renewals that no-one needs. 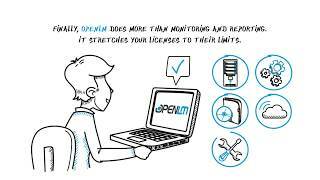 OpenLM empowers the user organization to implement software metering by which engineering application usage can be monitored, audited and reported. You can reach higher efficiency and maximize the usage of your software licenses while reducing instances of denials when your engineers cannot check out a license. See also software licensing tools. 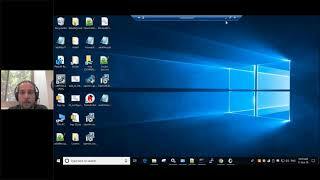 Simply install the OpenLM Broker on the license server, install the OpenLM on a dedicated machine and view reports from any device using any browser. The installation process of OpenLM is very easy, as all you need to do is run the "Click-Next" installer. OpenLM Broker automatically finds and configures your license managers for you, so all you need to do is point the OpenLM Broker to the OpenLM. We offer full support, even during the evaluation period. Use this link and username in order to experience a full OpenLM system with live streaming data. OpenLM provides full support from Sunday to Friday, 24 hours a day. 2. Chat with us on our website. 4. Submit a support form on our website.